ICONIC DESIGN, MAXIMUM CUSHIONING. 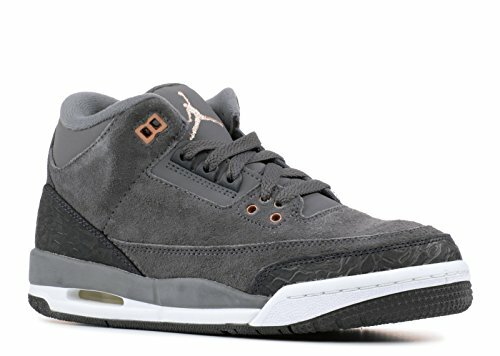 The Air Jordan 3 Retro Big Kids' Shoe has a comfortable leather upper and a visible Max Air unit in the heel for a retro hoops look and excellent impact protection. Leather or suede upper for premium comfort. Foam midsole offers a plush feel. Max Air heel unit for lightweight cushioning. Rubber outsole with pivot pattern for durability and traction.